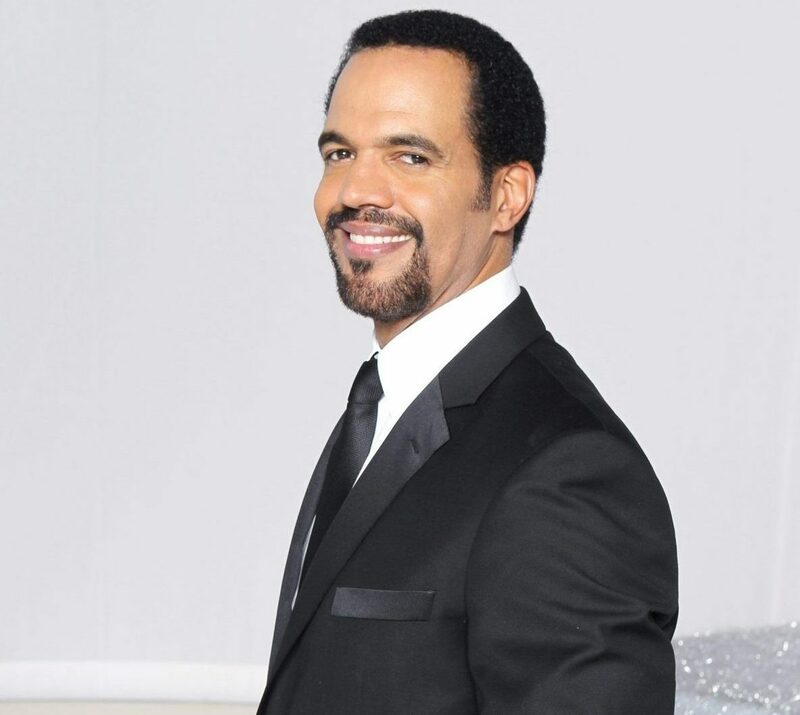 As loved ones, fans, colleagues and the daytime community continue to feel the loss and mourn beloved actor Kristoff St. John, his final airdate on The Young and the Restless has been revealed. 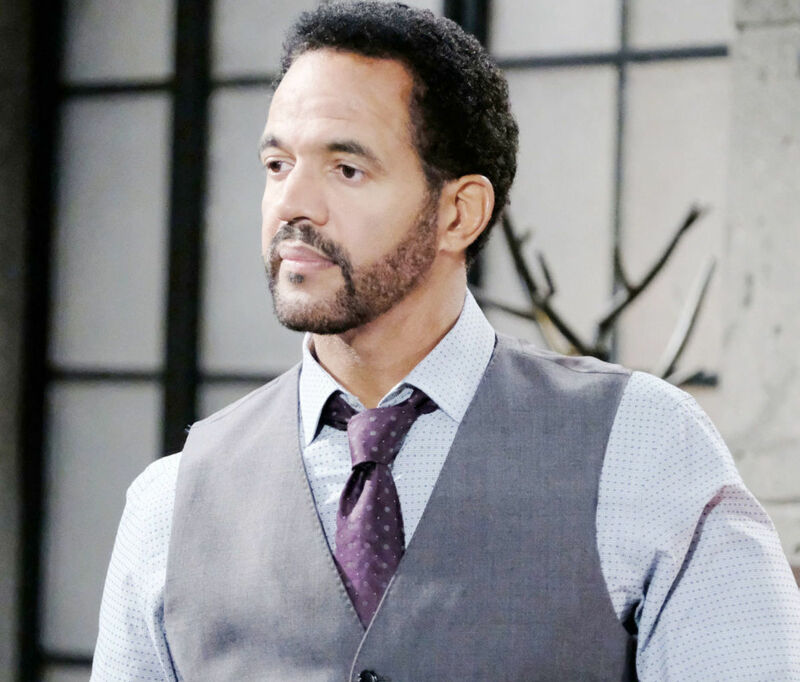 Making his passing all the more heartbreaking, Kristoff’s final Y&R episode as Neil Winters airs tomorrow on the Wednesday, February 6th installment of the top-rated daytime drama series. In addition, Y&R will air a special tribute to St. John during Friday’s February 8th episode. In other updated news, although the coroner has completed the two-time Daytime Emmy winner’s autopsy, the cause of death has been deferred at this time pending toxicology results as reported by various outlets. So, will you be watching the final appearance of Kristoff as Neil Winters? Share your thoughts via the comment section below. I’ll be watching and crying…a lot. Hi is it on australian tv ? If so what day n time ? Sad to hear this news .. I definitely will be watching tomorrow. I have to work. But I will try to watch the Wednesday episode on the weekend. Thanks for the information I was wondering if he had another appearance. He will be truly missed. THIS MEANS HE DID NOT RETURN TO WORK AFTER CHRISTMAS.THE SHOW IS TAPED 5-6 WEEKS IN ADVANCE.TOMORROW’S EPISODE WAS TAPED THE WEEK BEFORE CHRISTMAS.OBVIOUSLY,HE WAS VERY DEPRESSED. He was in the hospital until a few days before his death being treated for depression. But what about the several weeks before he went to the hospital. Why aren’t there any more episodes for Kristoff? Was he fired or placed on recurring status by Y&R? EB (Victor, Y&R) stated Mal Young/Y&R was edging Kristoff off Y&R. Did Y&R add to his depression? Was he let go? No, he wasn’t let go. I’m gutted. This news is just so sad. I wouldn’t miss it. I was hoping we would get a few more episodes with him, one will have to do. This is so very heartbreaking all around. My heart goes out to all of family and friends. He was such a class act, gracious, funny and to think that smile and laugh we have all come to know and love so much is silenced and at rest is just so sad. I too lost my son, December 17, 2017. He was just 30 and left behind a 6 year old boy and a 9 year old daughter. I found myself swallowed up in my grief, all consumed. I had panic attacks daily for months. I couldn’t leave the house. I broke down constantly and I have thought about taking myself out of this world multiple times. Losing a child is incomparable to any loss one could ever experience. We have 6 children and 12 grandchildren, and the loss of one leaves a person feeling unbalanced. Like your anchor is not holding you anymore. You just don’t feel grounded at all. Then there is the shattered heart that never feels complete again. It’s odd how having so many children I love so very much cannot absorb the space one child had in your heart but rather the opposite seems to happen. That place in the heart for that one child, seems to expand and deepen leaving the biggest emptiest void where my love slips into and out of being. I love all my children and grands. I feel bad that the love I have for them feels like it’s draining away and I am still so consumed with grief and loss that I may not not get back to where I need to be with all of them. Kristoff is with Julian and I’m sure they are thrilled to be together again. I pray his family are not overwhelmed by grief the way I am. I wish I could be stronger. Cora, I was planning to make a comment on Mr. St. John, giving my condolences. And I do that now, in reply to you. I will definitely be watching Wednesday’s episode as well as Friday’s episode. His untimely passing is a tragedy, particularly for his family, friends, and coworkers. Yet I read your comments, I was moved by them, and I feel compelled to offer you my condolences on the loss of your son at 30. I certainly don’t mean to be intrusive… You have articulately described your grief process, devastating as it is. You can relate to Mr. St. John’s feelings over the loss of his son. Though not touched personally by such a loss, I have witnessed others close to me who have had to deal with such loss, and the repercussions have been significant. As we see, people can react differently to loss, grieving in their own time and in their own way. But Cora, you are strong! The fact that you have remained strong is a tribute to you! You have survived the loss of your son and your “shattered heart.” I honestly can’t imagine what you’ve been through, but you are still here. You clearly love your family. Your children, grandchildren, and others continue to be your “anchors,” and they need you, as I’m sure you are their anchor. I hope you will reach out to your anchors when you feel down and need to talk. Best wishes for you, Friend! My condolences to you, Cora. Your beautifully written expression of sympathy for Kristoff St. John as you relate his to your own loss was very moving. I was just speaking of something similar today to a friend; that no matter how big a family or friends, how much love one has and feels, you can never replace one for the other. The loss of someone so loved leaves a gripping ache and longing…and a “vacancy”…a sorrow so deep that it physically hurts. I’m sure your other children understand your pain right now and know the depth of your love for them all. Allow yourself to grieve without worry or guilt about others; they have you and you them, always. Being in pain and grieving has nothing to do with not being strong. It has to do with having a heart full of love and loss and sorrow. Let yourself feel and grieve in your own time without the weight of guilt. Not an easy thing to do but I’m so glad to hear you’re surrounded by love. Cora I too am sorry for your loss. I hope to not be intrusive but have you tried grief counselling or find a group who have gone through what your going through. Sometimes it’s not that people are just depressed but they are grieving. God bless you. Mrs. Pushor – Prayers on the way to you, and, to your entire family. I’ll be bawling my eyes out, but I’ll be watching. I’ll also be praying for his friends and family. As us fans process the shock and grief, it suddenly occurred to me that I should offer you my condolences. I never met the but you met with with him many times. I believe you interviewed him numerous times throughout the years. He was a friend of yours. As you try to offer comfort to his fans, it might be that you need some comfort yourself! I am so sorry for your loss. One thing I have always appreciated about you is you give your heart and soul as a soap journalist. You have a lot of integrity and are a dying breed it seems. Thank you so much for the message and your kind words. I am struggling with the loss of Kristoff, as we all are. But I truly appreciate what you wrote. This is so heartbreaking.. he was a good actor I’ve followed him for years starting with the mini series roots. No matter whatever he did comedy or drama he always did a great job! R.I.P YOU WILL DEFINITELY BE MISSED AND NEVER FORGOTTEN. I will be watching and crying…still in shock. I’ll be watching and crying. Pass the tissues. I will be watching and crying, he will be missed dearly, I wish he could have stayed but I understand his grief! He’s with Julian and smiling that beautiful smile of his. I watched the episode, today, Wednesday, 2.6.19., and, will be watching on Friday, 2.8.19. So, so sad watching Neil and his beloved son, Devon. I was wondering if all the pride and love he had to show his son and daughter Lily, ever since his son’s death, didn’t prolong and add to Kristoff’s pain and grief. The role as loving father, and grand-father to his children and grand-children would have done me in. Though not real, just saying the words and showing the emotion had to have been terribly hard and draining on some level. I so hope I am wrong. I can’t believe today, will be the last time to see that smile and twinkling eyes. He will be missed. This is really sad! Not just for Y&R but for his family who has been through a lot the past few years. I just hope that he is finally at peace.